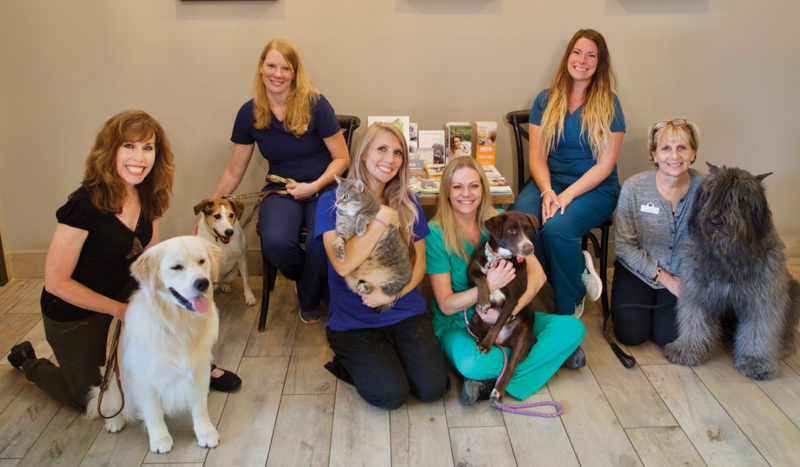 “Until one has loved an animal, a part of one’s soul remains unawakened.” This quote truly captures the spirit of Skycrest Animal Clinic. 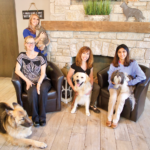 We treat your dear pets like our own, and strive to go above and beyond what’s expected. 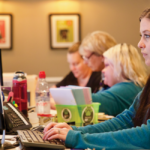 Our team’s longevity and strong client relationships set us apart from other hospitals. 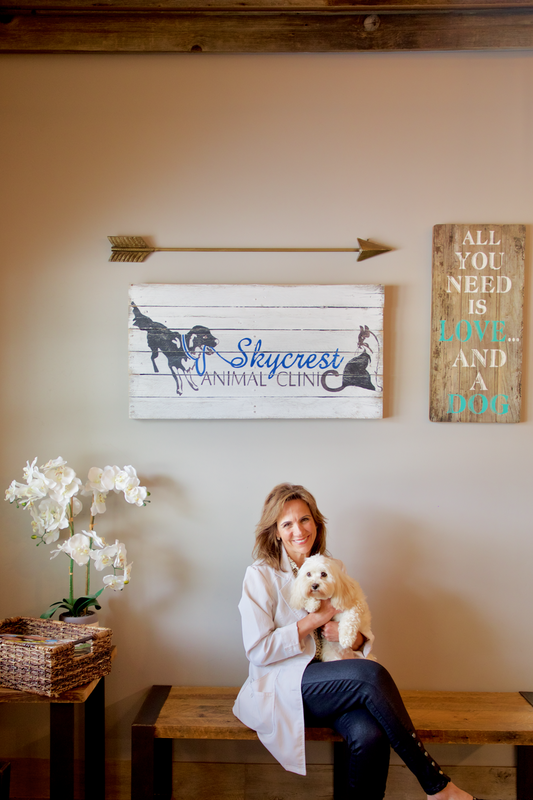 Dr. Locke, Dr. Shears, Dr. Wilner and I have been practicing at Skycrest for nearly 15 years. 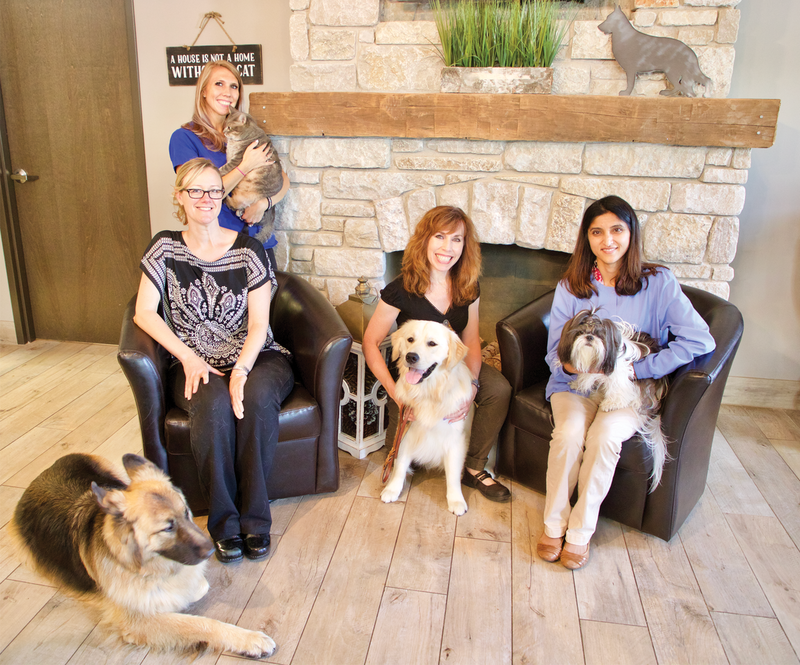 We were lucky enough to have Dr. Burke and Dr. Jethani join our team, too. Most of our support staff has been together between 10-30 years. When you love what you do, the years go by in a flash. My husband, Don, and I moved to Long Grove nearly 20 years ago. We have three active children in sports, scouts, horseback riding and church. I always joke that I can’t go to the grocery store or a school function without chatting with a handful of clients about their animals. In 1996 when I stepped into the charming little hospital with the trademark red front door I knew it would be my forever home. Dr. Fred Rader started Skycrest in 1967, handing the reins to me in 2001. 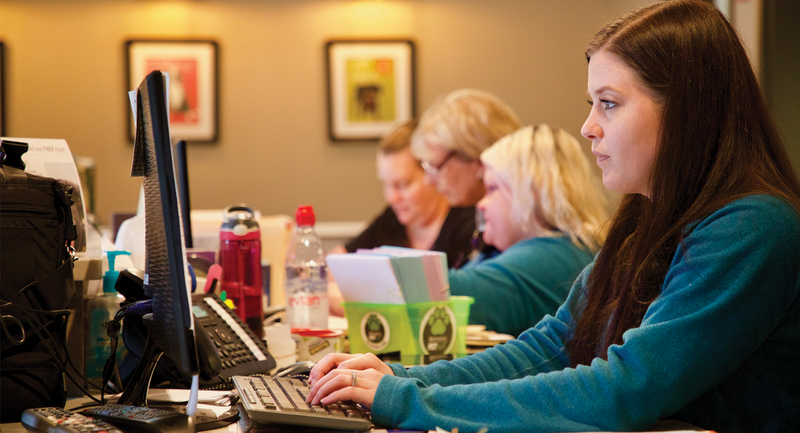 Recently, Skycrest had a major facelift to make clients feel instantly at home. We updated our equipment, adding surgical and dental suites. The support we give to clients is both medical and emotional. We strive to give patients the best outcome possible. (When there are no good options, we just have to kick the heck out of plan B!) Whether it’s a cancerous mass or a cough that leads to heart failure, we always let pet owners know that it takes great courage to make that final decision for a beloved pet. This is the emotional part of our job, not learned in a vet school classroom. You just pray the words and strength will come to you. Our pets are the heart and soul of a family. After all, who is the first family member to leap off the couch to give you a warm welcome? Everyone who walks through our red door has a story. 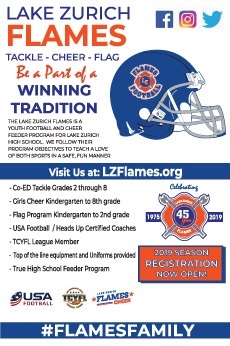 Let us be a part of yours! 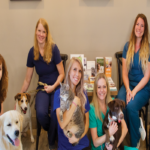 Learn more about Skycrest Animal Clinic at skycrestvet.com or call 847.634.3538.